Cellar ConversionsDo it right, do it once. Guaranteed! We have completed literally hundreds of cellar and basement conversions and been responsible for the design, planning and construction through to completion. We even decorate! 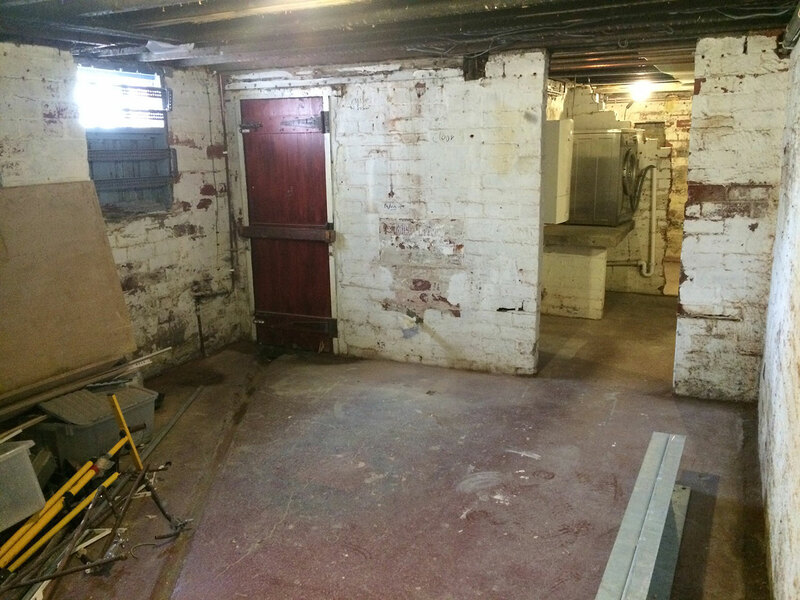 Victorian cellars are normally damp and dingy storage areas but it does not need to be. It can become a fantastic, useful and extremely valuable habitable room. Our clients have converted to bedrooms, bathrooms, utility rooms, or useful dry storage. Head height is increased to a minimum of 2.4m by structural underpinning to the perimeter walls. Waterproofing is achieved by a total membrane system to the walls, floor and ceiling together with both dual ground and foul water removal pumps. Tanking with waterproof render can also be an option for less wet cellars or for dry storage areas. Permitted development is normally agreed with the council by getting prior approval. This is beneficial when you come to sell the property as without it the buyer can refute if the conversion was legally carried out. If a lightwell is required for natural light, ventilation or a means of entrance or escape planning permission will be required and all London boroughs are normally agreeable to this. We undertake the design, planning application, building control notice and compliance and any party wall awards that may be required. Our clients do nothing as we project manage everything!